Steen Wear works off a simple principle. Everything we make, we make it expertly and to last. It’s with this guiding principle that we produce awesome cycling clothing. Our quality doesn’t just come from some simplistic mantra of words, but from action through our attention to detail. It is these small design elements that separate good clothing from outstanding clothing. In the world of clothing, the literal thread that holds your clothing together makes a huge impact on the quality of your clothing. Our clothing utilises flatlock stitching compared to a standard cover stitch. Not only is this stitching stronger but the process removes the excess fabric of a cover stitch leaving only a smooth, comfortable and stronger stitch, especially important when using tight fitting cycling apparel. 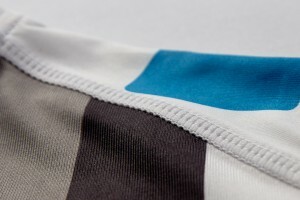 Flat Lock Stitching is stronger and more comfortable on cycling clothing than traditional stitching. Your cycling kit, especially when custom, is a reflection on both you and your sponsors. 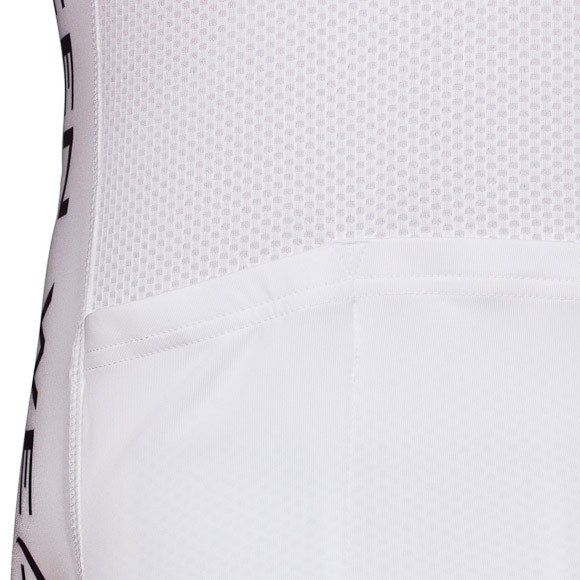 So there is nothing worse than seeing your design and sponsor logos split down the middle by a zipper. It’s for this reason all our tops feature hidden zippers. Full Length Hidden Zippers are much more practical and ascetically pleasing. Moreover, we always use full length zippers on all our tops. The easiest way for us to save a bit of money would be to switch to shorter length zippers of a lower quality. We instead use full length YKK (leading industry zippers) in all our products. Another small detail is our zippers are #5 width, which are slightly larger than most companies and are much easier to zip and stronger than smaller zippers. When it comes to cost, this is one of the biggest factors for a clothing company, and one of the easiest for them to cut some corners to save some money. 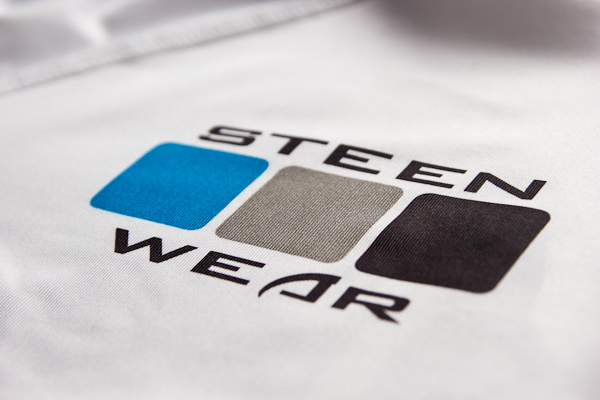 Steen Wear uses only high quality fabrics in our range, sourced from multiple specialist mills around the world. Mills from Italy, Japan, China and Korea produce our fabrics, each hand selected for their outstanding quality and performance. Our Pro Tech Fabric is one of the most comfortable lycras available. 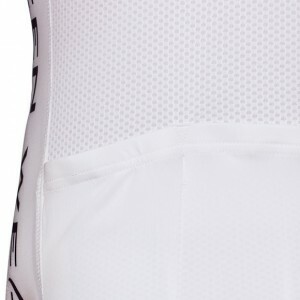 The smallest detail most overlooked in our range of cycling jerseys is the extra stitching to help reinforce the pockets of our jerseys. A small, but helpful detail which helps keep your jersey lasting for years to come. Another feature on our Pro range of jerseys and tops are articulated jersey pockets to make reaching into your pockets that much easier. When split seconds matter during a race, you don’t want to be caught fumbling to reach your food in your pockets. When riding, contact with your bike happens in only three places – handlebars, pedals and seat. We can all agree that the seat receives a majority of the pressure while also being the most sensitive area of the three. This is why we believe there is no reason to offer our customers a “value” chamios pads. There is no value in using lesser pads in such a critical area. Instead we offer only high quality cycling pads, available in both Men’s and Women’s versions, for our customers. Our triathlon pad is similarly high quality, but with a thinner, more tri-friendly design. With a multitude of sizes out there Steen Wear wanted to provide a range of options for our customers. 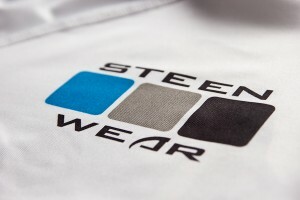 Steen Wear offers both a slimmer racer-oriented Pro Cut and a more liberal yet flattering Club Cut for our clothing. Both Pro and Club cut sizing is available in gender specific cuts to let all your club members both look fast, but also feel fast. Details are what defines Steen Wear. We stress over them so you never have to think about these things, because when we do our job right, you focus on your ride and simple enjoy using our clothing. This entry was posted in Design and tagged custom clothing, cycling clothing, cycling clothing design, high quality cycling clothing, sublimated clothing.